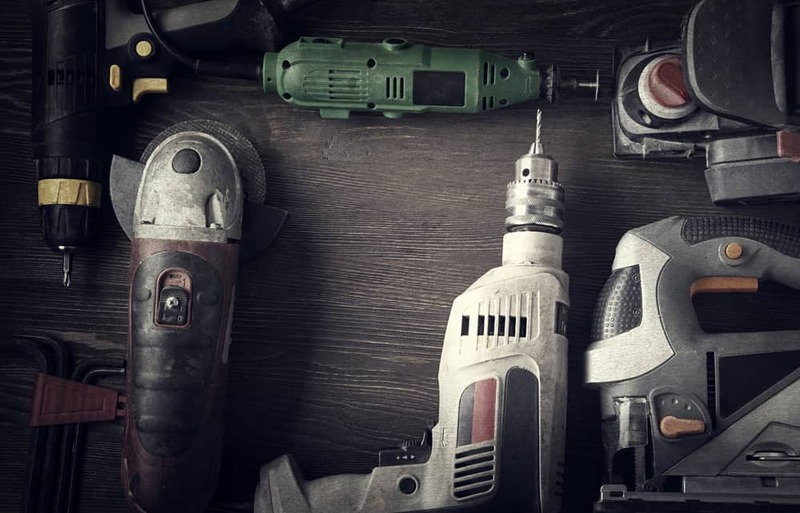 Having just the right tool for the job is a great feeling, but it takes time to build up a good collection of power tools and motorized tools. These sorts of tools are often expensive and require careful maintenance and preservation. At Affordable Family Storage in Des Moines, we want to help protect the things that are important to you. When the time comes to put your tools in storage, we are here with helpful advice and the perfect storage solution to meet your needs. Before going into the storage unit, every tool should be carefully examined and cleaned. Be careful to avoid exposing any electrical components to water or debris while cleaning. Any edged tools should be lightly sharpened, just enough to get a clean edge. Edged tools should then be oiled or greased. Wrap delicate edged tools with an oiled rag before they go into the storage unit. First things first, remove any and all batteries from your power tools. After removal, store your batteries with their respective tools. Batteries are best kept at temperatures between 50 and 90 degrees. If you have the original packaging for your power tools, that is a great option for keeping the tools safe and secure. If you don’t have the original packaging, using a plastic wrapping product is a good idea, bubble wrap is a great choice. Removing the fuel from your motorized tool is the most important step before putting it in storage. Fuel left in the engine will degrade, causing a buildup of gunk in the fuel lines that will inhibit starting and proper functioning when you return to the equipment later. The simplest solution to remove fuel is to operate your motorized tool until it simply runs out of gas. Don’t forget to give the starter a pull or two to make sure that the motor is completely free of fuel. Clean or replace air filters and fuel filters before storage. This will save you time later and ensure that your equipment is ready for operation. If you have them handy, store power tools and motorized tools in their original cases. This is particularly useful if the tool came with a hard plastic case that will resist moisture and impacts. For all other tools, choose sturdy containers that will resist moisture and pests. A toolbox or tool chest with a tight-fitting lid is a great option. A sturdy plastic container is a simple option that will do the job well. Consider using desiccant packets, such as silica gel packets, to absorb moisture and keep your tools safe from rust. When the time comes to put your valuable equipment in storage, consider a climate-controlled storage unit. Affordable Family Storage offers climate-controlled storage units that feature active management of temperature, humidity and air quality. Your tools will be safe from moisture build-up and the rapid temperature fluctuation of hot summers and cold winters. At Affordable Family Storage, we value and protect the things that are most important to you. We want you to feel comfortable and secure storing your valuable belongings with us, and your power tools and motorized tools are no exception. To find the climate-controlled storage units that are perfect for your tool collection, contact us today and visit our website.